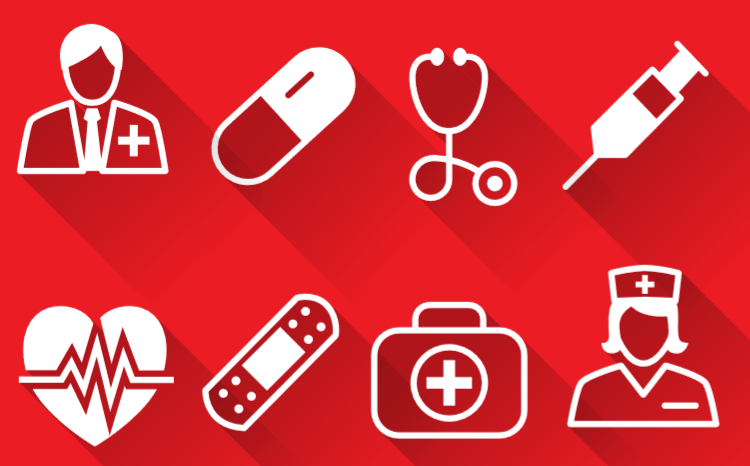 Healthcare sector in India continues to see a sharp growth driven by increasing incidence of lifestyle diseases, improving purchasing power for the middle class, and improvements in technology and procedures. Radiology, one of the sectors associated with the same is seeing the benefits of the growth. The importance of Radiology increases drastically in the context of 'Diagnostics', it is the first line of defense towards disease identification and treatment, while also supporting general health and wellness. Going forward, with a significant shift expected in India from prescriptive to preventive healthcare, the importance of access to quality healthcare would be greater than ever. 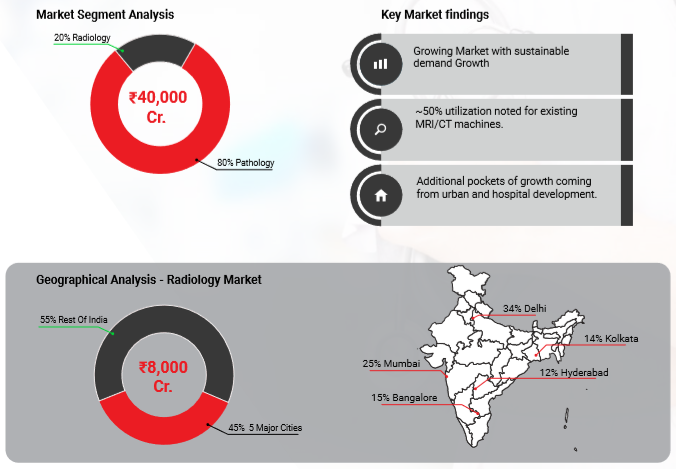 Indian radiology market is multi-layered, with demand generated from a variety of sources, such as private diagnostic centres, large multi-specialty and specialty hospitals, government hospitals and academic centres with limited divide between organized and unorganized players. So as the industry goes forward we expect waves of consolidation as market coverage starts to saturate. 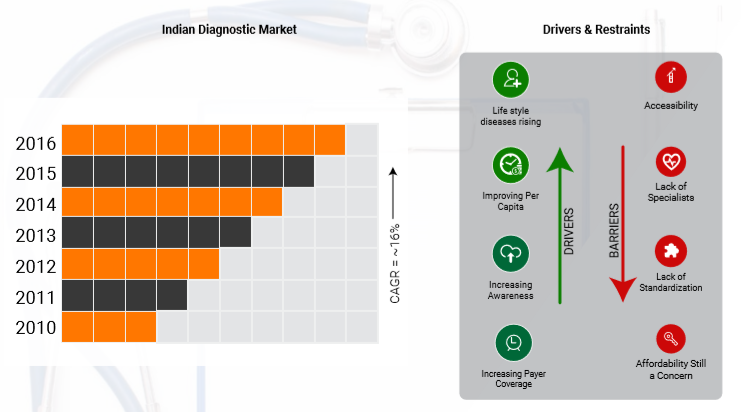 Market for diagnostic services has been growing in India over the past couple of years at a rate of 15-20% and is at nearly ₹ 40,000 Cr. as of 2016. Pathology accounted for nearly 80% of the market while Radiology accounted for the remaining 20%. As per the RedSeer analysis, the current rate of growth is expected to continue, driven by increasing awareness in the population, improving payer coverage and rising incidence of lifestyle diseases. An in-depth look at the distribution and utilization of the MRI/CT machines across 5 major cities shows that the utilization largely lies between 40-60% with differences noted in micro-markets within the cities. So, with increasing population while the demand growth will be noted, adding new centres would require a look at the individual. New growth opportunities will arise from shifting doctor preference from CT to MRI machines, new pockets of residential and commercial development and from the growth in the establishment of new multi-specialty hospitals.